How do you know if your seed, fertilizer and crop protection investment is performing on your field? We know it’s important to ground truth or validate if a product is performing so you can make purchasing decisions based off the data provided. 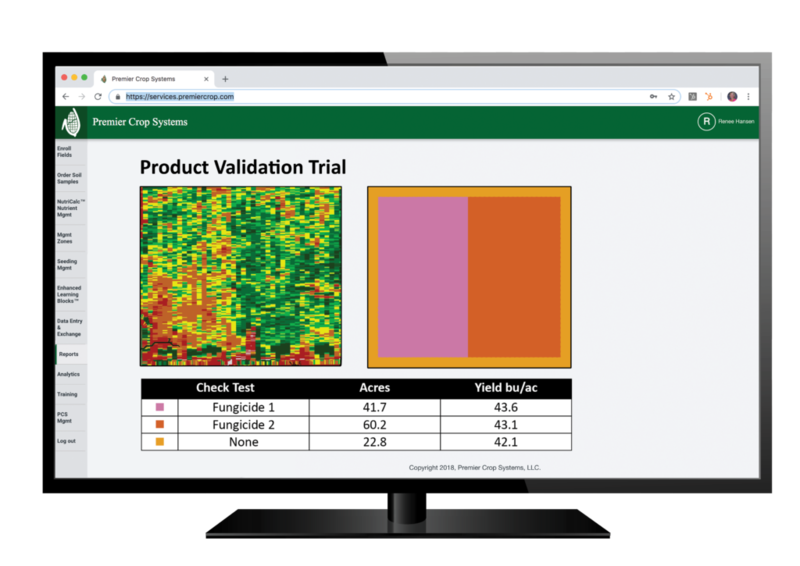 A product validation trial places a product on your field and will compare against the untreated check without the need of a prescription. Premier Crop provides insights based on agronomic factors for the treated and untreated areas of the field to understand where that product fits best. Does a product work in your field? You can find out with our Product Validation report that compares your product trial verses an untreated check.